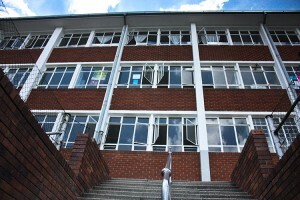 Welcome to Randpark Primary School. The school of choice in the Johannesburg Area where your child is our priority. Randpark Primary has a long and proud academic tradition. Learners and staff are expected to deliver their best efforts at all times. With a focus on academic, sports and culture, Rand Park Primary provides the best education possible. We strive to implement the school code at every level. Our commitment to the learners has proven itself in the level of achievement attained by the learners in all Academic, Sport and Cultural areas of the school. Randpark Primary School is an English medium school committed to providing excellence in education to all our pupils, parents, staff and community. The school believes in the unlimited potential of every member of our school community. We nurture quality educated individuals who have belief in their own abilities and are able to think critically and apply their knowledge constructively in their daily lives with the support of the administration, SGB, parents and pupils. As a school, Randpark Primary knows that it is only in giving our best that we truly prosper as individuals, a school and as a community. We distinguish ourselves by supporting those that are in need in our school community and local community. The safety and security of all our pupils, staff and parents has always been a priority and this is underlined by the implementation of a dedicated 24 hours, 7 days a week guarding, monitoring and armed response unit in our community. In the near future a full attendance module will be added to further simplify the daily management of the registration and attendance of all learners. The school has strict rules and policies in place regarding the daily drop off, early collection and afternoon collection procedures for parents to adhere to. The school uses a variety of methods including, telephone, SMS, Email, Newsletters, School Communicator, Electronic notice board, occasion specific letters and our school Website to communicate with all parents.